Dangerous signals of a looming distress in the banking sector due to the "bubble money" saga may have sent the nation's economic regulators to the drawing board. Among the options reportedly being proposed by the Central Bank of Nigeria (CBN) is a fresh round of capitalisation by banks. 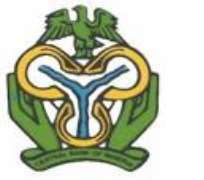 It was learnt that very soon, the CBN would present the consolidation plan to the Federal Government. Unlike the 2004 exercise where the CBN concentrated on raising the banks' capital base to N25 billion, the proposed scheme slated for early next year would encourage merger and acquisition among the operators. If this option is accepted by the government, the CBN may canvass the reduction of the number of banks from the present 24 to 15. According to sources in the industry, the CBN is targeting next year for the re-capitalisation scheme, which may prune the number of banks in the country to 15, excluding the re-licensed but yet to be operational Savannah Bank. The sources claimed that the apex bank was worried over the "bubble capital" saga rocking the nation's financial institutions, accentuated by high profile "dangerous loans" given by the banks, under assessed poor management regime. CBN's governor, Lamido Sanusi, had recently given an indication about the re-consolidation of the banks. The Guardian learnt that this would be two-fold as foreign banks would acquire Nigerian banks and some strong local banks would also take over their weaker ones. The early next year time-frame, The Guardian also gathered, is for the CBN to finalise its ongoing audit of the banks. An official of the apex bank said yesterday that it is not yet clear if the coming consolidation will be regulatory body-induced or not, pointing out that, it is the outcome of the on-going audit that will determine that. A top banker said that another pointer to that is the fact that institutional investors both within and outside the country are positioning themselves to be part of this exercise once it takes off, given the numerous enquiries they are making regarding the health of some Nigerian banks. He stressed that given the hints dropped by Sanusi on the health of Nigerian banks in his interview with the Financial Times of London last month, it is obvious that, it is a way of preparing the banks and banking public for the impending consolidation programme. In that interview, Sanusi said: 'My initial feeling is that there isn't any bank that cannot survive in one form or the other, either in the form of getting some of the stronger banks to put in equity and merge with them or inviting foreign banks and letting them agree on the conditions for them to invest capital and management and revive the bank." On the question of whether the envisaged consolidation would be regulatory induced or not, he had replied: "I wouldn't force any consolidation but I think it's important to send out signals to the banks that may have difficulties, that merging with stronger banks is certainly a very good possibility for saving themselves and saving their businesses. "And we would try to create an environment that encourages that. We would try to encourage foreign banks that are coming, not just with money, but with management and systems, to come in and acquire. But we will not force any bank to merge. We are not going to have a Bank of America-Merill Lynch situation." Interestingly, to prove foreign banks' interest in Nigerian banking system, the Standard Bank Group recently revealed that it was poised to increase its share in the Nigerian banking industry with the expected consolidation programme. The Chief Executive Officer, Standard Bank Africa, Mr. Clive Tasker, while speaking on the group's growth strategy in Nigeria, where it had only one per cent market share, said that Standard Bank was shopping for the next available opportunity to acquire another bank in Nigeria because of the market's importance. He spoke during a press conference at the 3rd yearly Standard Bank of Africa forum in Johannesbourg, South Africa recently. Also, speaking on the theme, "The Nigerian banking system and the challenges of the global economic crisis," at the seminar for finance correspondents and Business Editors recently in Markurdi, Benue State, the Managing Director of Bank PHB, Mr. Francis Atuche, had listed regulatory induced consolidation in the banking industry as one of the options open to the country. He recommended that the apex bank should introduce surgical intervention in form of injection of liquidity into the banking system via government-funded soft loans and re-capitalisation and regulatory induced consolidation via encouraging the big strong banks to acquire the weak and the anaemic". He said that the liquidation of every weak bank associated with insolvency could result in a severe erosion of confidence in the banking system and could precipitate a run on the banks. Based on this, he stated that, the best approaches are rehabilitation and consolidation. Both methods are considered more economically viable options from a national standpoint, but consolidation is however the most favoured because of its effect on investors' confidence. Most of the banks, The Guardian learnt, got into this mess owing to their large exposure to debts owed them, coupled with the new CBN directive on full disclosure. But the debtors have seemingly kept the banks on tenterhooks, forcing them to categorise too many liabilities as bad debts that are being written off to cleanse the financial institutions' books. Indeed, two companies and their directors have a debt overhang of $3.75 billion (N550 billion), with a further N280 billion representing the local currency component of their collective liabilities. The Senate Committee on Public Accounts also expressed dismay yesterday after hearing that the Education Tax Fund (ETF) placed over N2.7 billion in bank deposits without respect for financial and investment ethics and regulations. At a meeting with the ETF management and officials from the Auditor-General of the Federation, the Senate panel was informed that the ETF Executive Secretary, Mahmoud Yakubu had been queried for going ahead to place the funds. The query was reportedly issued by the then Auditor-General of the Federation, Robert Ejenavi, in March, 2009. A Lagos High Court has adjourned hearing in the suit filed by Access Bank Plc against African Petroleum (AP) seeking the winding up of the latter over non-payment of credit facilities, till July 27, 2009. In the petition, Access Bank wants an order to wind up the giant oil marketing firm over a $35.15 million (N5.6 billion) trade debt, while AP is accusing the bank of erecting stumbling blocks on its repayment bid. Counsel to the respondent, Mr. P. A Ajibade (SAN), at the resumed hearing of the matter yesterday, told the court of his preliminary objection dated July 21, 2009 to the petition by Access Bank Plc on June 25, 2009, which he said had been filed and served the petitioner on Tuesday. He told the court, that since the petition for winding up a company was under the Companies and Allied Matters Act (CAMA), there was no need for a written address and thus, was ready to proceed on the matter as the case had brought discomfort to his client. But counsel to the petitioner, Mr. Norrison Quakers, requested the respondent to file a written address on the matter in conformity of Order 183, of the 2009 Federal High Court' Rules, which he said should precede the CAMA rules. However, Ajibade argued that Order 183 cited by the petitioner was not decisive but rather left the decision at the court's discretion. After resolving the matter in favour of the respondent, the respondent further asked for an adjournment to enable him study the preliminary objection and the accompanying affidavit, was served on him at the close of work on Tuesday. Justice Ibrahim Auta granted the request and adjourned the matter till July 27, 2009 for hearing without written addresses. In the preliminary objection supported by a 26-paragraph affidavit, Mr. Emem Ekpeyong, a legal officer to the respondent's counsel and filed on Tuesday, AP asked the court to dismiss the petition in limine on the ground that the petition has not disclosed any grounds under the recognised heads for winding up a company under Companies and Allied Matters CAMA CAP C20, Laws of the Federation of Nigeria 2004. Other grounds for objection were that the subject matter of the suit constitutes an abuse of the processes of the court as well as that the applicant lacks locus standi to file a winding up petition against the respondent. Access Bank had through the petition and signed by Mr. Olisa Agbakoba (SAN), prayed the court to wind up AP. The bank anchored its position on AP's alleged inability to repay the two year-old facility on the grounds that the company is "insolvent and unable to pay." Specifically, the bank told the court that since its repeated demand for the repayment of the $35.15 debt, being the outstanding obligation on a letter of credit opened on July 18 last year in favour of AP, could not yield any positive result, the order seeking to wind up the company became inevitable.